I am so excited to share this recipe with you because it’s (shamelessly) hands down one of the best dishes I’ve ever concocted and you need to make it for yourself as soon as possible! 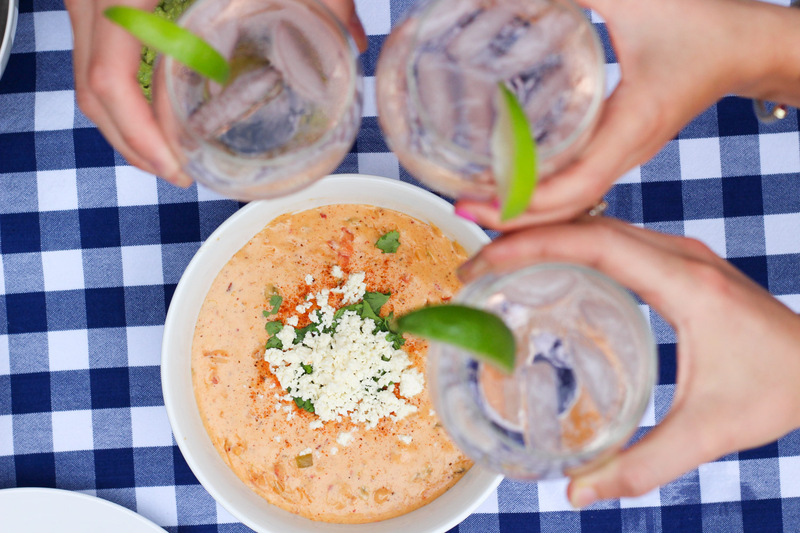 Like most born and bred Texans, I have a deep-seated love for queso (and no, it’s not “just cheese,” it’s the best form of hot, melted cheese that exists) and order it whenever I’m at a restaurant that’s known to have a “good” variety. What’s always eluded me, though, is having a go-to recipe so it can be made at home…until now! Since I’ve lived in DC for five consecutive years–nearly six if you count the amount of time I spent here during a semester “abroad” and the subsequent summer–I’ve become extremely acquainted with OLD BAY seasoning, a blend of 18 spices bundled up in an adorable red, yellow, and blue can that’s easily the best looking thing in my spice cabinet. 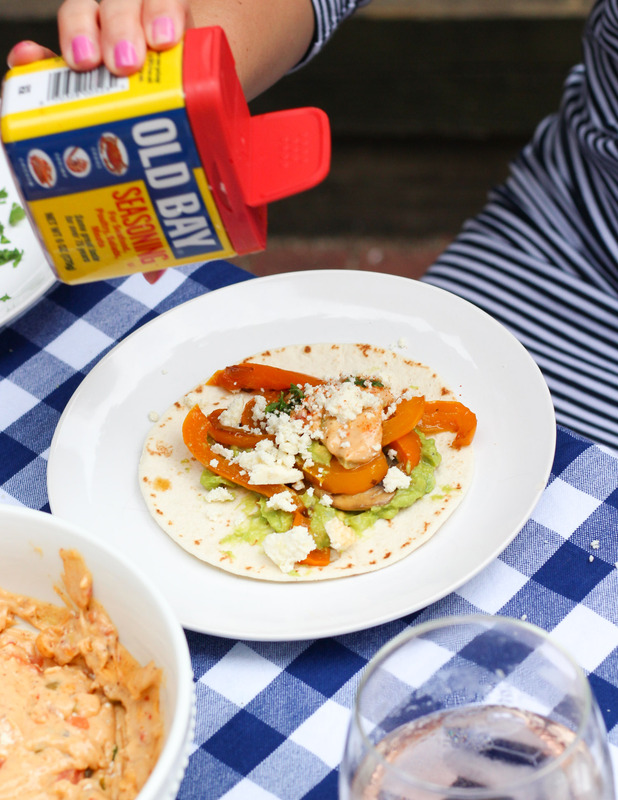 Much like queso is to Texans, OLD BAY is a staple among Marylanders, who have rightly convinced most of the mid-Atlantic and northeast that the spice needs to be added to just about everything. 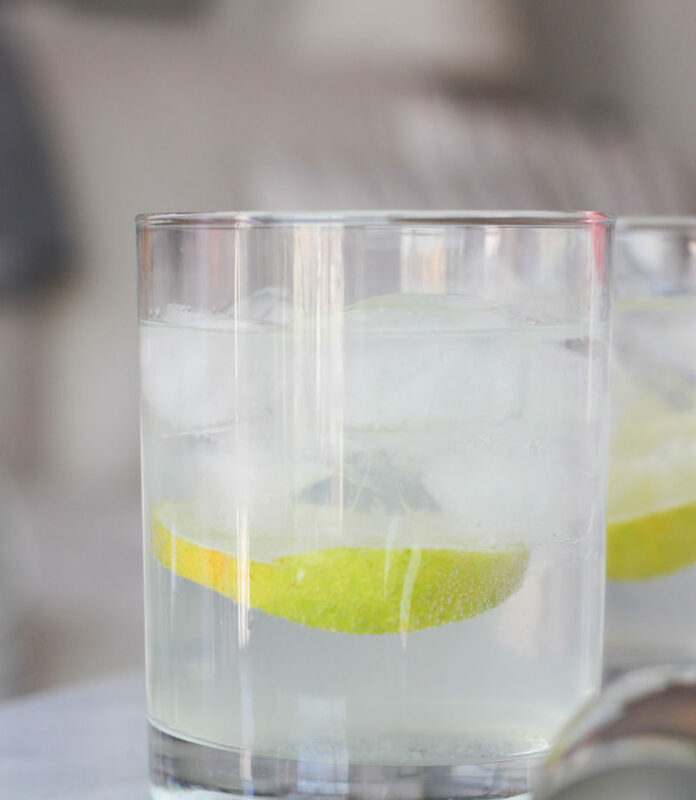 It has a kick without being spicy, a couple of shakes transform something bland into something flavorful, and it’s easy to buy…hence why it’s one of the most versatile things to have in your arsenal! While it’s most often associated with crabs (and OLD BAY fries are also irresistibly good, and are a personal go-to whenever they’re on the menu), I’ve come to realize that OLD BAY is simply a versatile ingredient that can add the perfect amount of zhush to most savory things we cook. 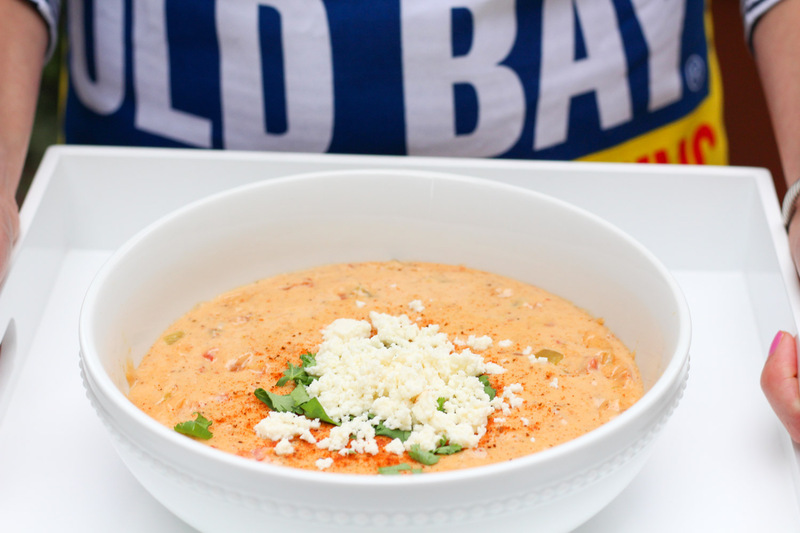 So naturally, today we’re combining two personal comfort foods–warm cheese and OLD BAY–into the dreamiest blend of OLD BAY Queso. 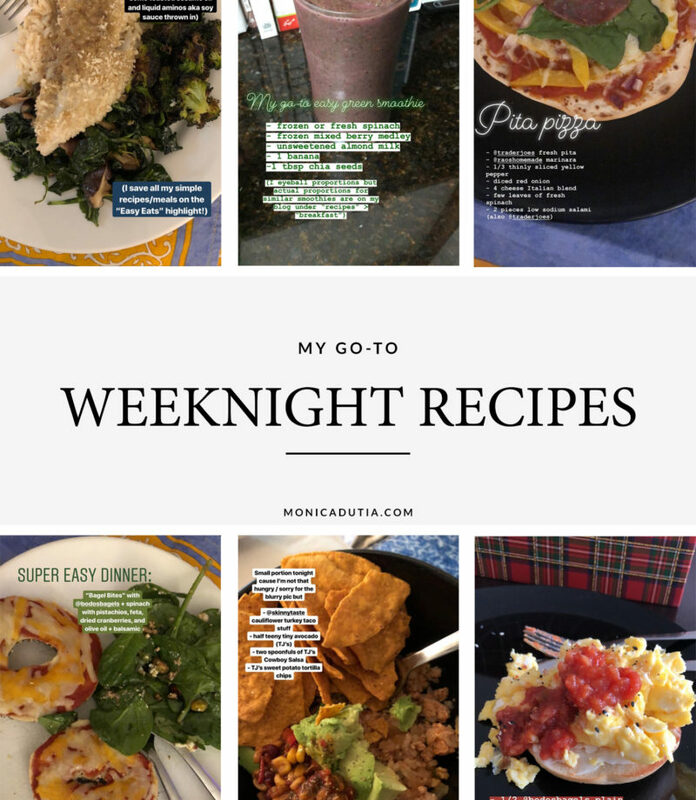 While nothing compares to the secret recipe from my beloved Mi Cocina, this stuff is definitely restaurant quality and will probably be the highlight next time you’re cooking for a crowd! 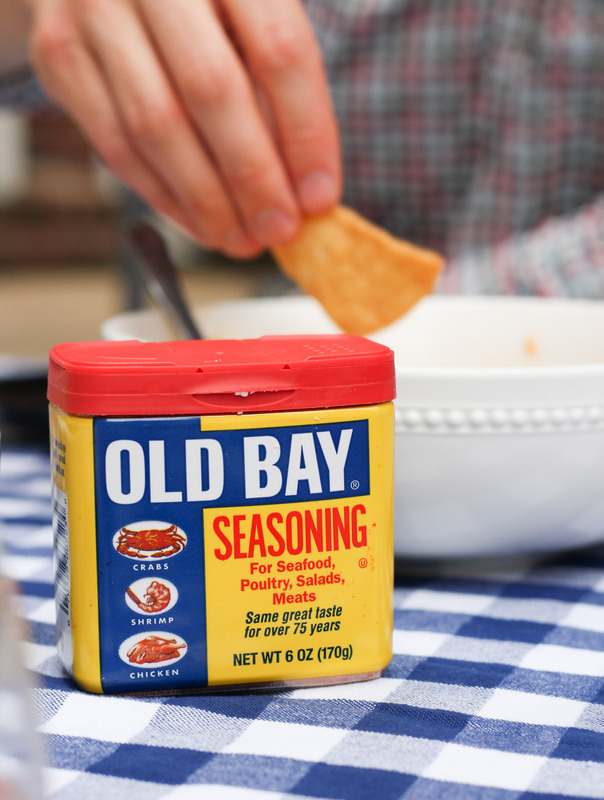 Whether we leave the DMV in the coming years or end up sticking around, I know OLD BAY is going to be something I consistently cook with and happily associate with this time of our lives. 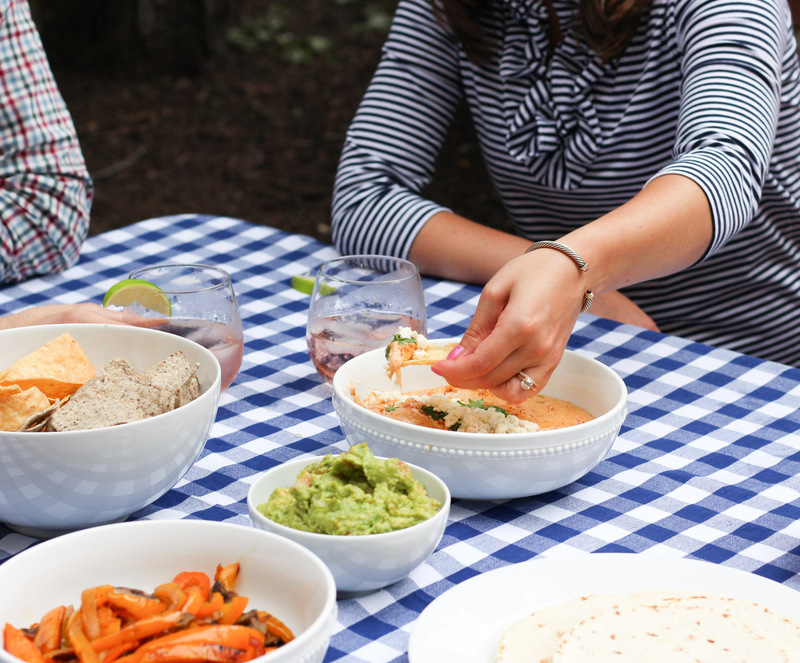 It’s a summertime staple–though I definitely cook with it year-round–tied to so many memories, including the first time I ate crabs in Delaware (not small feat for the girl who doesn’t normally like eating with her hands) and backyard gatherings with neighbors turned friends (like this one!). 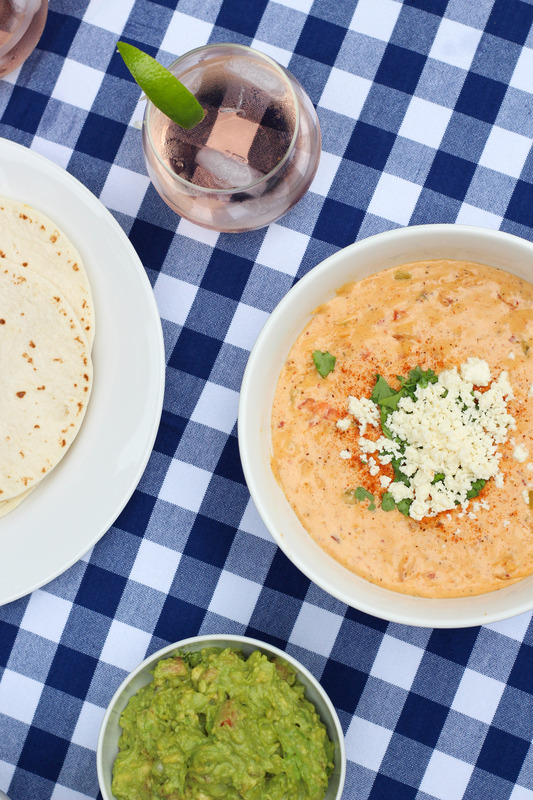 I’ve tried a couple of homemade queso recipes in the past and this one came out the best. 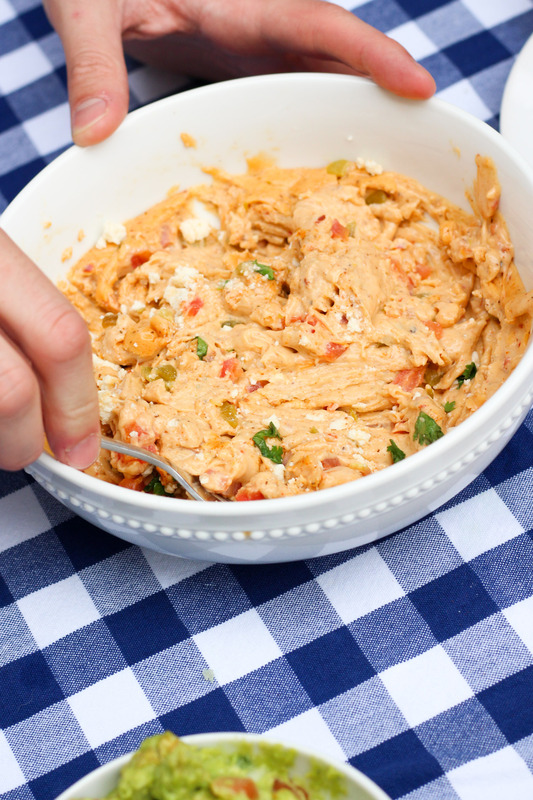 It’ll be a personal household favorite for taco nights, BBQs, potlucks, and Super Bowl parties for years to come! Chop the American cheese into small pieces–it’s easiest if you cut a bunch of slices at once. In a large (ideally nonstick, to make cleaning easier) pot, heat half-and-half over medium high heat until simmering. Once it starts bubbling up on the sides, turn down heat to low (don’t let it boil). Immediately stir in the American cheese, adding in small batches and whisking until each batch is fully combined before adding more. Increase the heat to medium as you whisk in the cheese. Once all the American is added, continue with the mozzarella. Keep whisking this entire time! Once all the cheese has been added and melted, stir in the tomato, green chilis, chili powder, red pepper flakes, salt, and OLD BAY. Serve hot (taste it, and turn up the heat–stirring constantly–if you have to) or keep it in a slow cooker on “warm” or on the stove on low. Warm cheese coagulates quickly once it cools, so keeping it warm if you’ll be grazing for awhile is key if you want to maintain the liquid consistency. It’s also normal for the top to solidify even when warm, do don’t be alarmed if that happens! Top with a generous shake of OLD BAY, cilantro, and crumbled cotija. 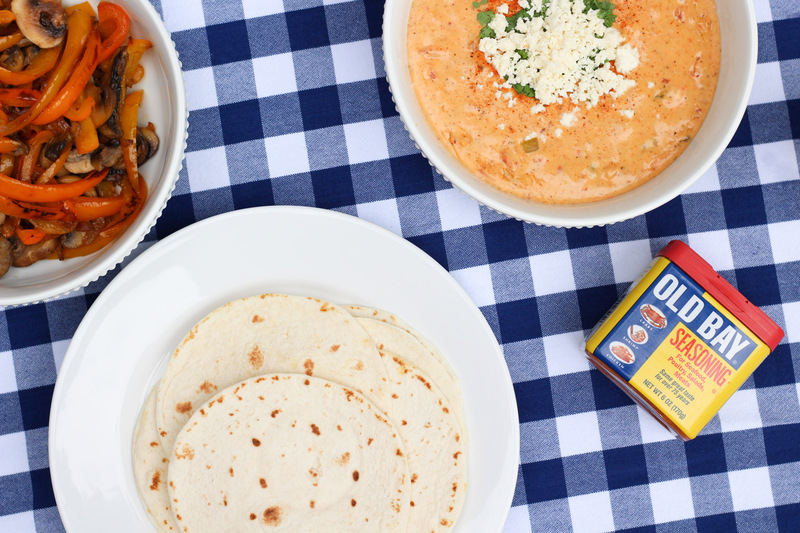 Enjoy with tortillas, tortilla chips, on enchiladas, with tacos, or with a spoon–you can do no wrong! This post is sponsored by OLD BAY. 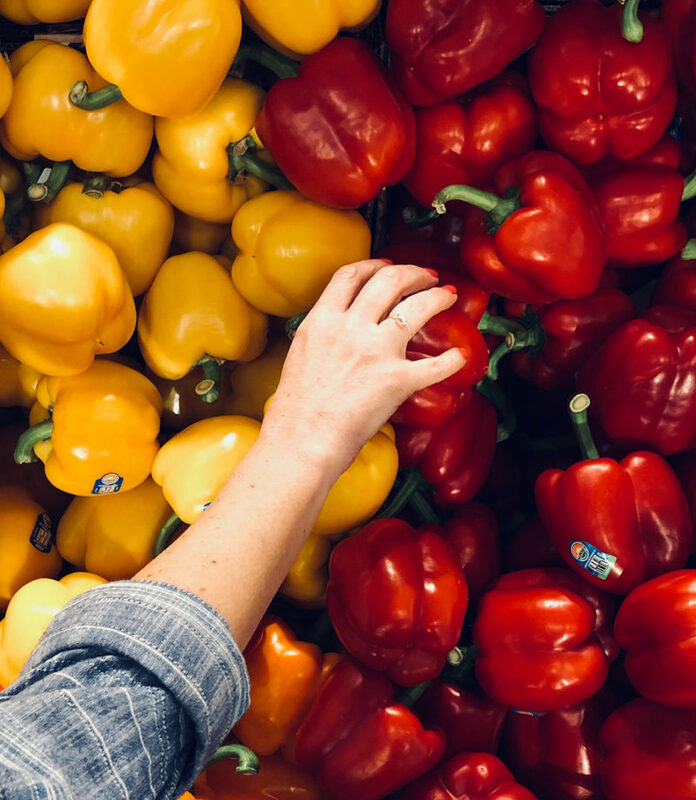 Follow along on social media (their Instagram makes me hungry) and participate in the #OLDBAYOurWay photo contest to win a summer’s supply of OLD BAY + some swag! As always, all opinions are my own and I only work with brands I genuinely love. Thank you for supporting the brands that keep this blog running! YUM! This sounds delish! Now wishing I would have made it over the night you were making it … haha Next time! Hahaha we have to make it again! Could be a good addition to your Taco Tuesdays, too!